Posted by Brittany Bosher on Monday, February 25th, 2013 at 3:56pm. A popular reason it places high on these lists is that Florida has no income tax and there is property tax protection for its full-time residents. Acclaimed by MarketWatch.com, “Florida has dozens and dozens of nice towns and cities.” In the United States, south Florida has some of the warmest temperatures during the winter. All winter long, Floridians are hitting the beach; boat and water with the exception of a couple days when it may be too cold, the majority are warm and sunny. Great weather is a year-round feature of south Florida, but the perks just keep coming. Many of the communities are just steps from the beaches and Atlantic Ocean. There are neighborhoods that border the miles of traversable waterways including the Loxahatchee Riverfront. 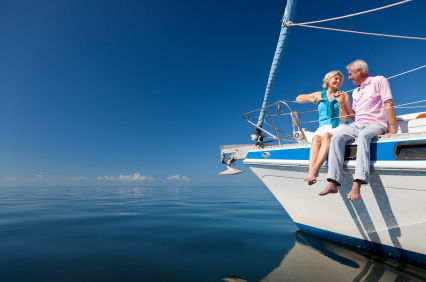 If boating, sun and sand are your top choices south Florida has you covered. However, maybe you would like to be in a country club community that is not so focused on the water. Golfing is prime in Palm Beach County. In fact, Travel and Leisure Magazine has dubbed it the “Golfing Capital of Florida.” Some of the nation’s finest golf courses and golf course real estate can be found in this fabulous state. Some of the other pros, retirees named for their reasons in choosing Florida to spend these precious years include: Florida has some of the world’s most revered medical institutions, top schools and great attractions! 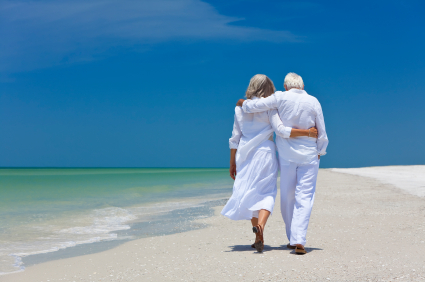 Thousands of people have found refuge in south Florida to enjoy their golden years, see what so many others do when it comes to choosing where you are going to retire. Click Here to contact our Waterfront Properties team of specialists to help you find the picture-perfect home to retire in!